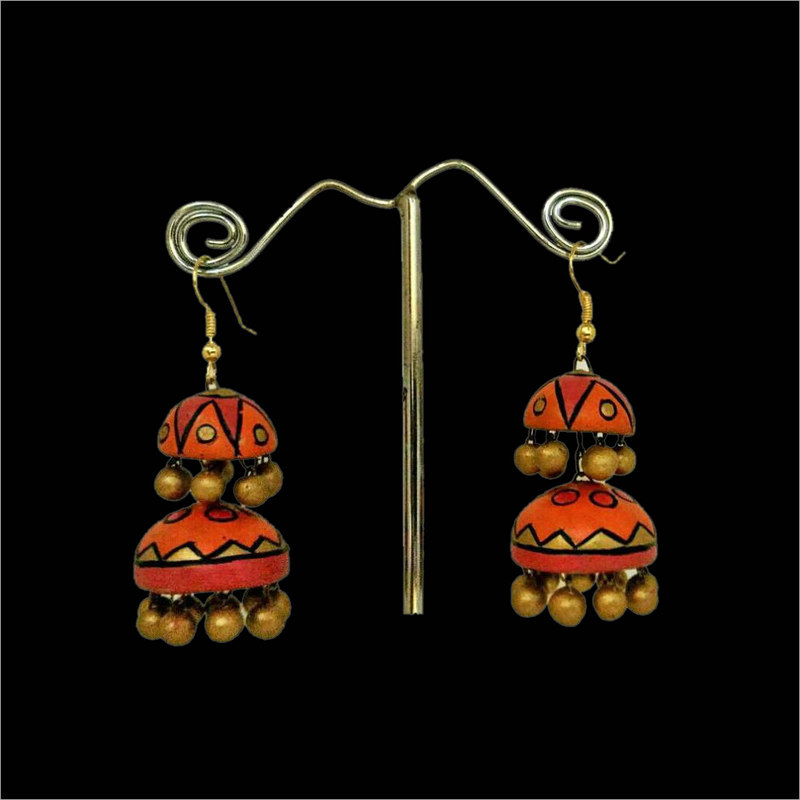 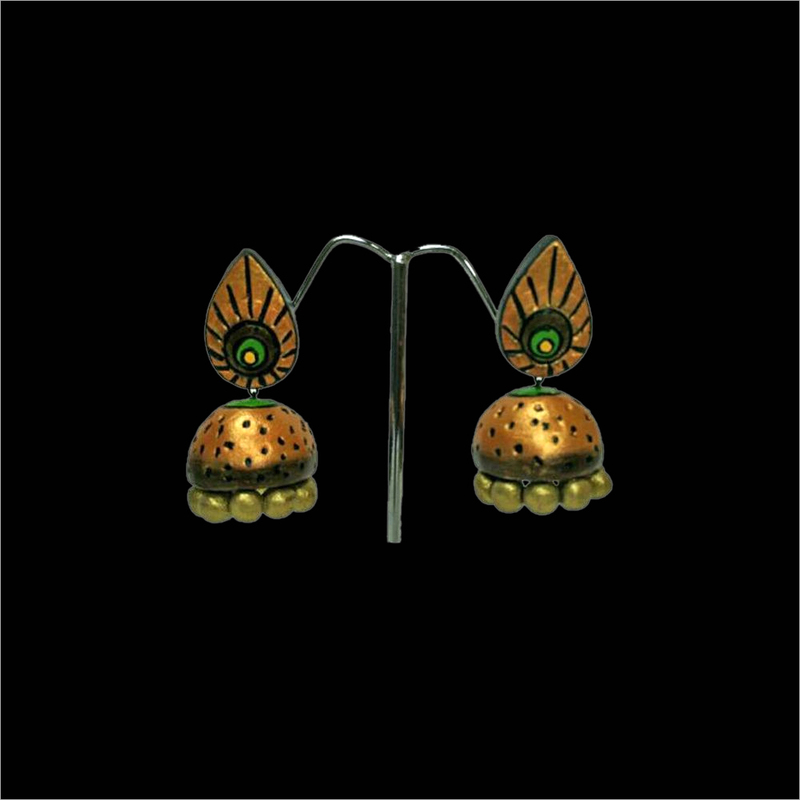 We have been carved niche in this industry for supplying and exporting a fine array of Terracotta Green and Golden Jhumka. 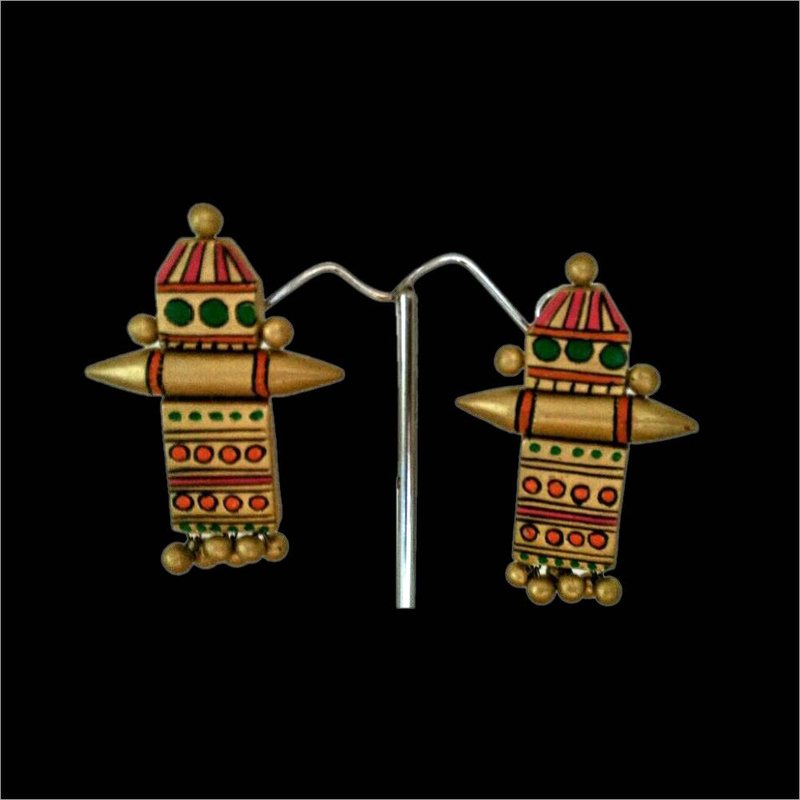 It is an ideal gift item for your love one in her birthday or special occasion. 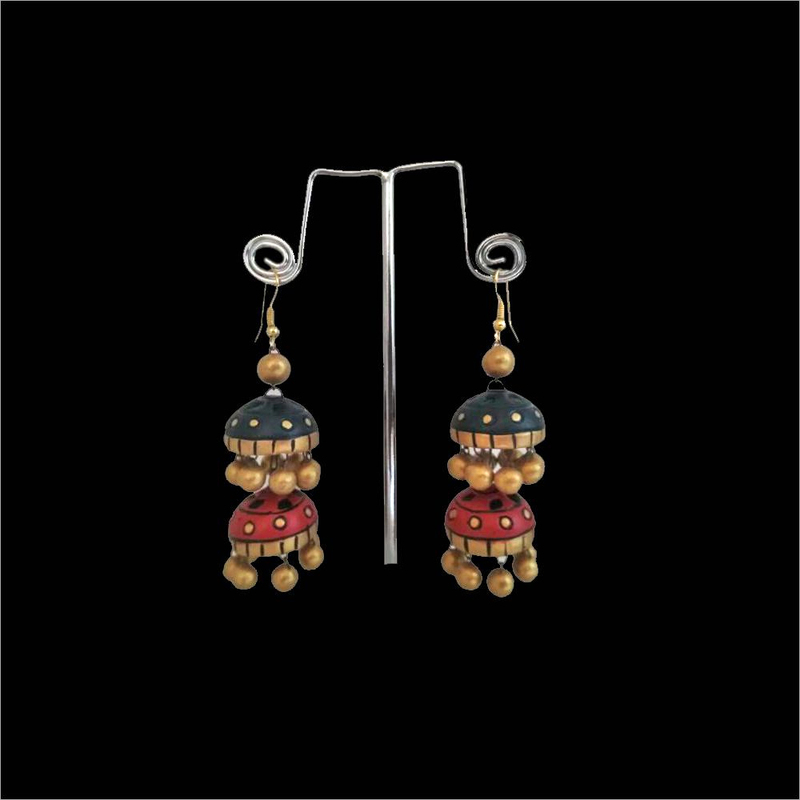 Our jhumka is beautifully designed by using teracotta materials at our vendors' end. 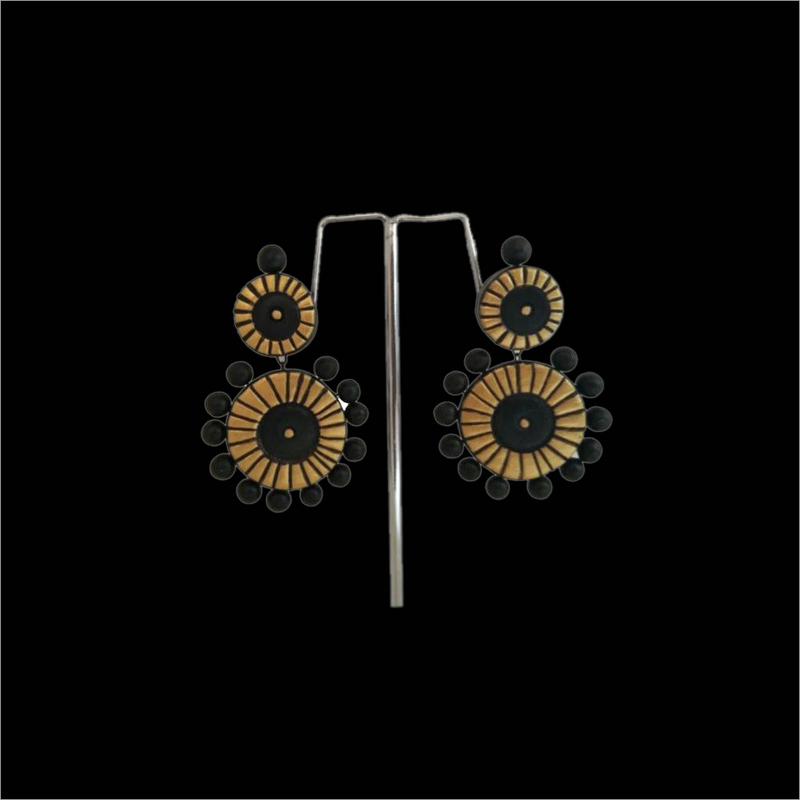 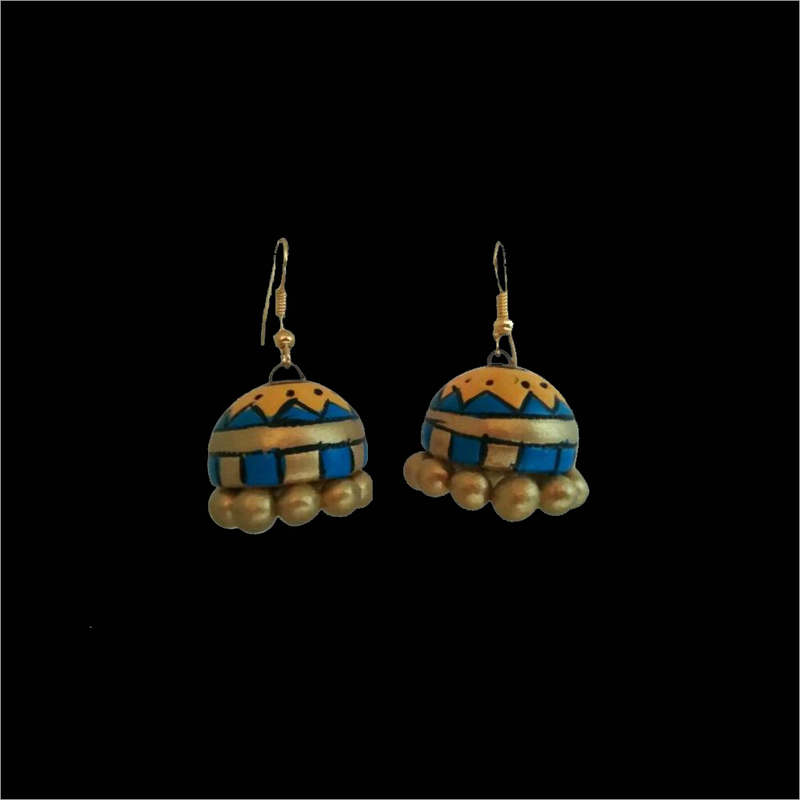 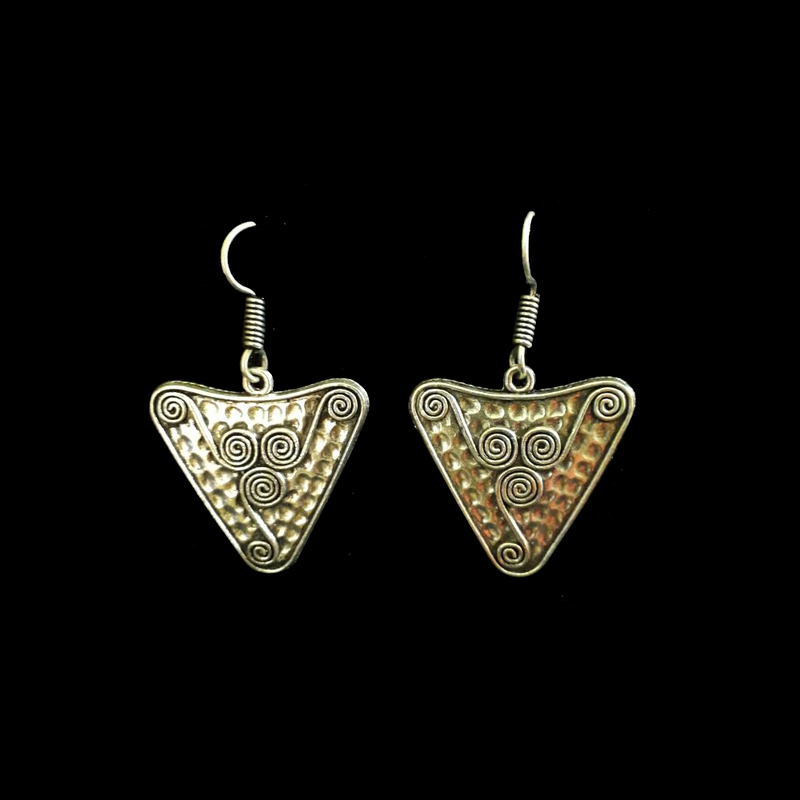 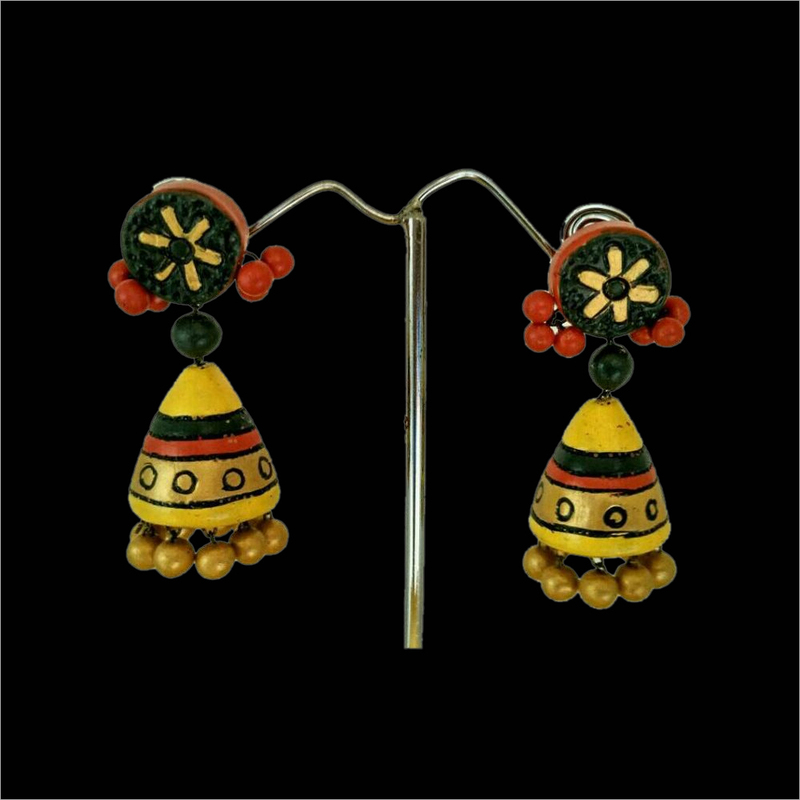 By using golden and green color, this earring is carve by skilled craftsmen. 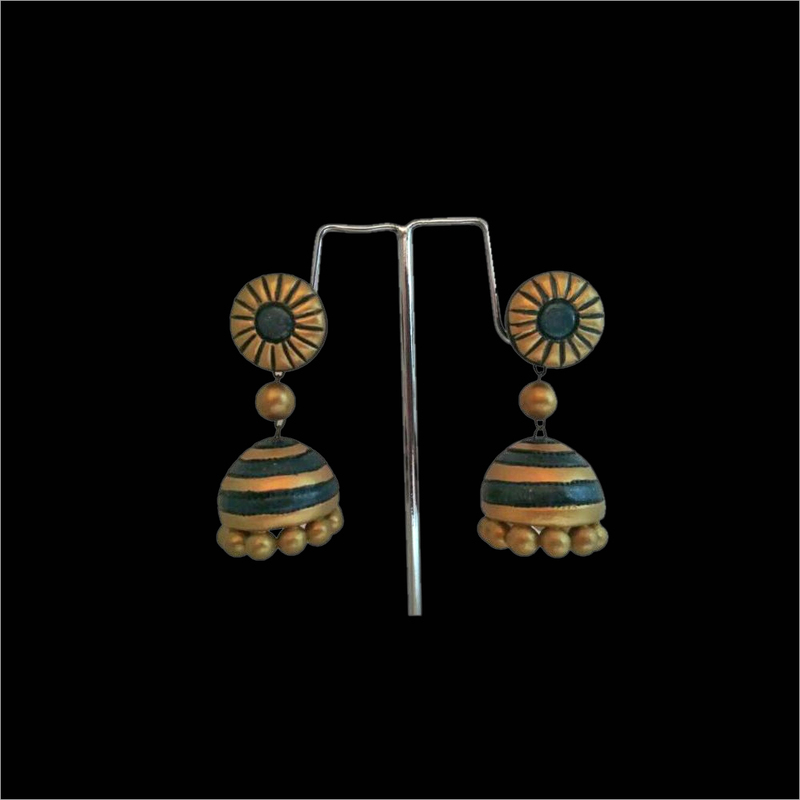 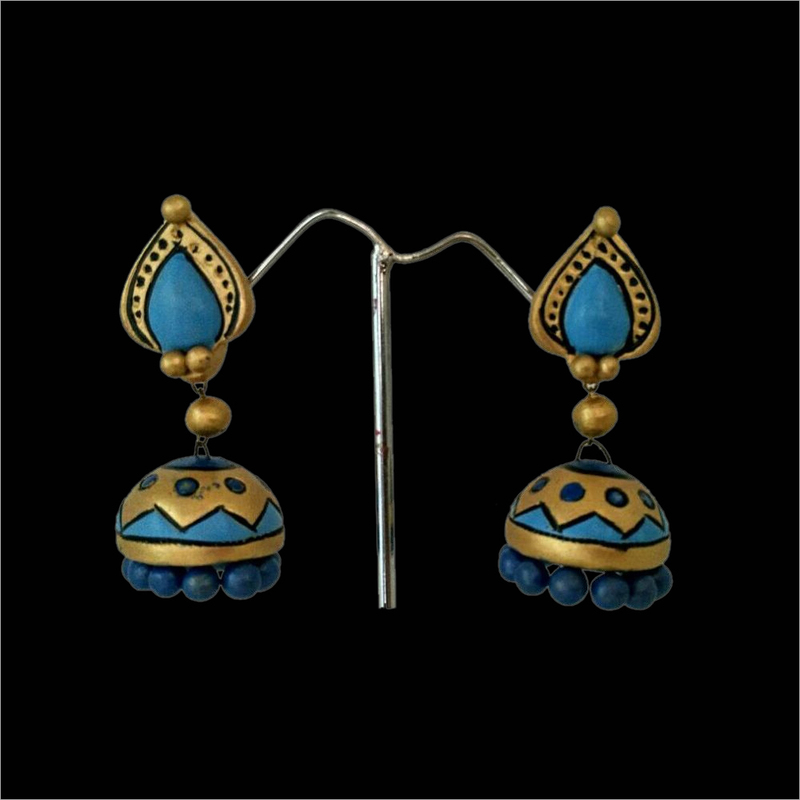 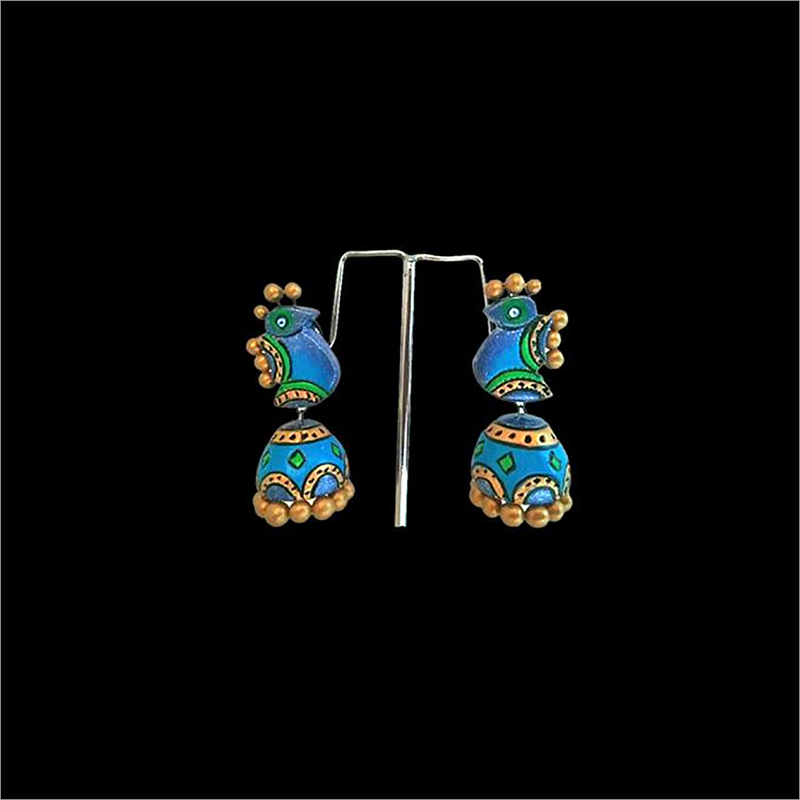 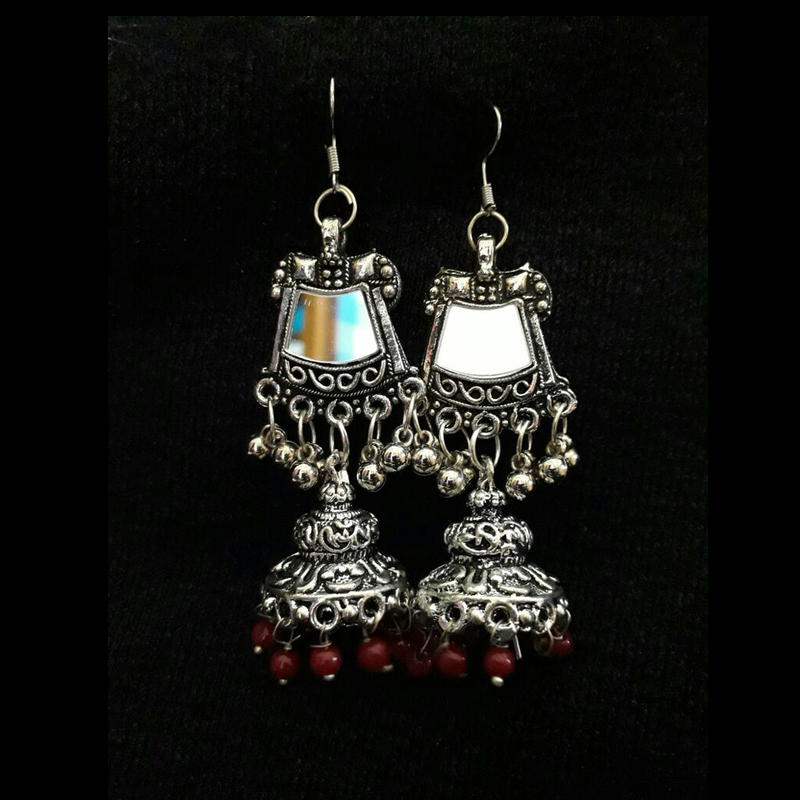 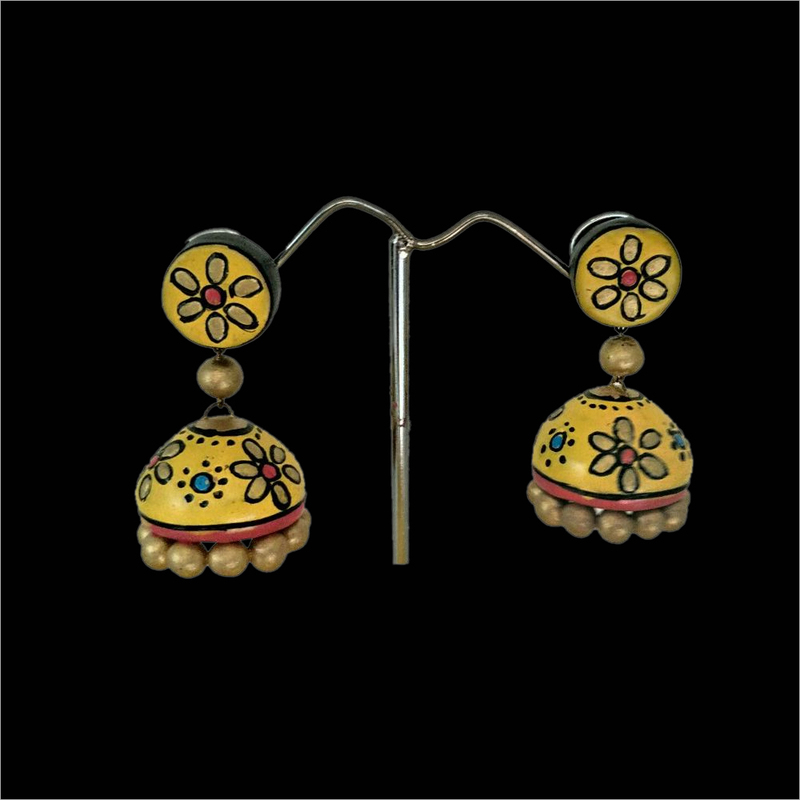 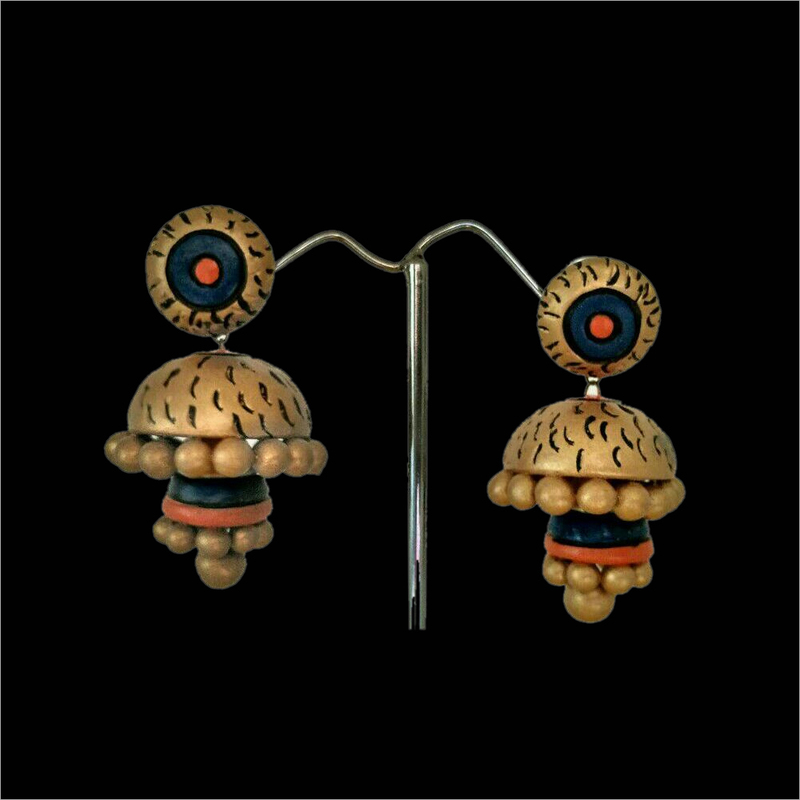 To get a traditional and fancy look, this jhumka adds a elegant look to the wearer. 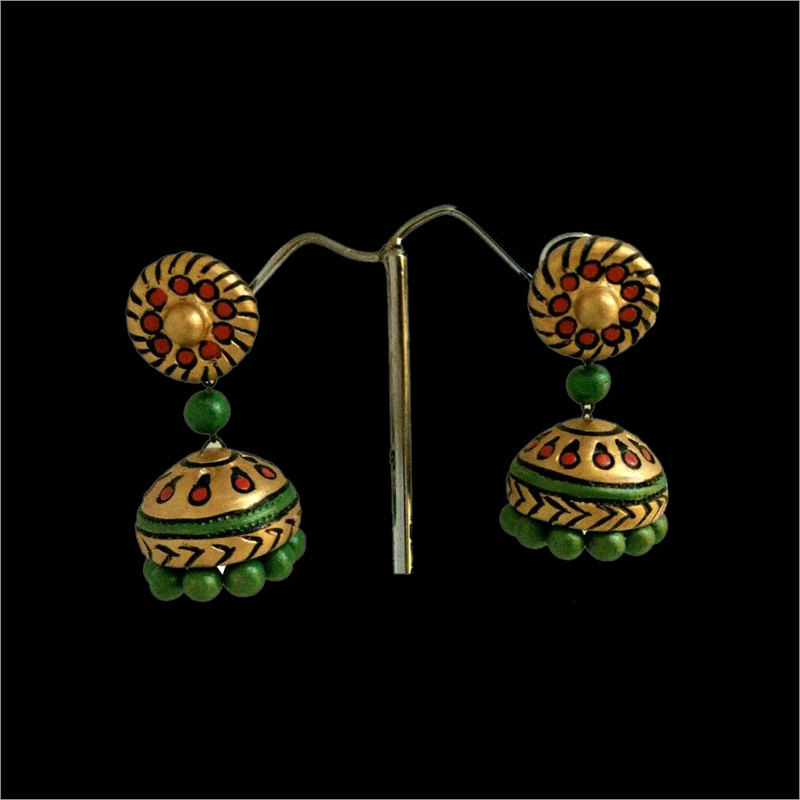 Our Terracotta Green and Golden Jhumka is excellently packed for safe transit.